Jalapeño Pepper Jelly has been around for generations. For many, enjoying homemade green pepper jelly poured over a block of cream cheese and served with crackers is a fond holiday tradition. Pepperlane uses quality ingredients to create 14 delicious flavors to be enjoyed all year long, including Cran-Peno, Raz-Pepper, Hot Blooded Orange and Blackberry Buzz. We can be found in the deli section of your local grocery. Ask for us by name. Known to many as the condiment with a kick, Pepperlane is used by fine restaurants, chefs and gourmet cooks around the world. Try it on sandwiches, use it as a glaze on meats, create a dipping sauce for Asian cuisine, or add it to salad dressings. See why we are known as “the secret ingredient.” Add Pepperlane to your favorite recipes to elevate the familiar to fabulous. The possibilities are endless. Taste for yourself! In 2009, Roderick and Sandra Weese joined Pepperlane as co-owners and in 2014 became sole-owners of Pepperlane. 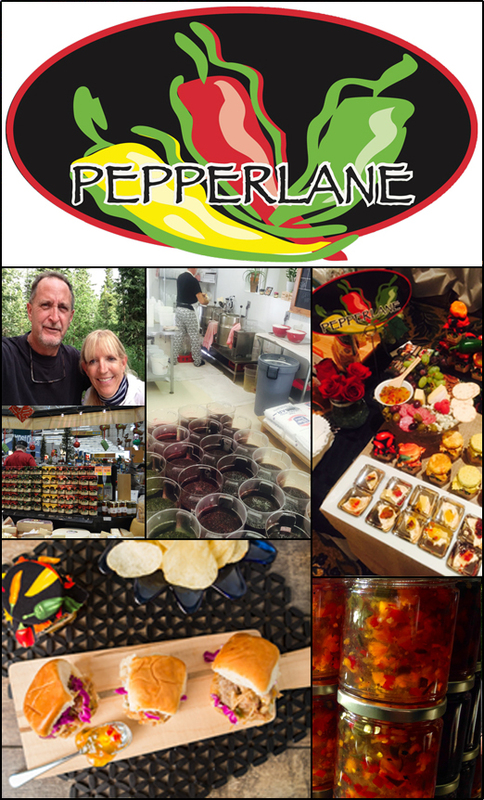 Pepperlane’s commercial kitchen is located in the Wasatch Mountains in Midway Utah, a place Rod and Sandra have called home for many years. Click here to explore our 14 flavors and order yours today. From our kitchen to yours. Enjoy!